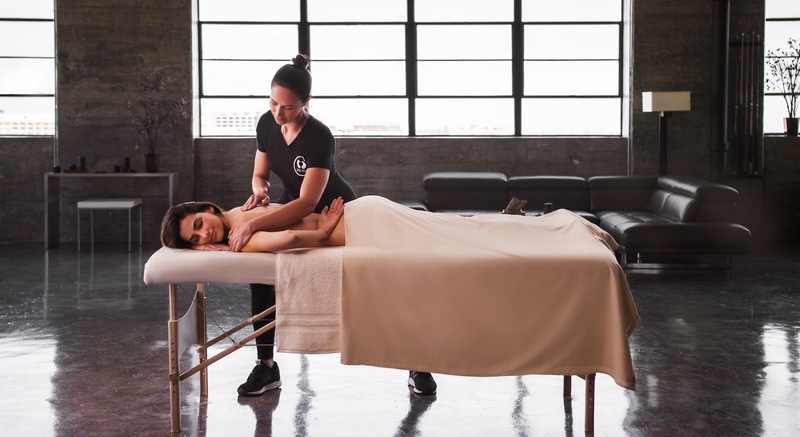 Soothe is the world’s largest and fastest-growing on-demand massage service, and has now arrived in Sydney and Melbourne. HOW often have you had them and vow to always have them now regularly, like always, always, always. Never happens. Until six or 12 months later and you vow the same thing, again. What stops you from indulging in life's simple pleasure of receiving touch? For me, and I am sure for many, it's time, distance, time, time, time. Who has the time to commit to leaving work and deciding that yes, I will relax, yes I will submit to just switching off? I am sure I am not alone when I saw this is a modern day indictment. And so, why not get them to come to you? Genius idea! THIS is the service Soothe provides. And, it's already a huge success overseas, so now the Aussie clientele gets to benefit. massage therapists to one’s home, office, or hotel in as little as one hour. Josie's Juice was lucky to have a one hour deep tissue massage in the comfort of the workplace. AND: readers can WIN a massage here... see details below. AND, readers can take advantage of a discount offer. Simply choose a massage of any kind on the Soothe massage menu, enter this code JOSIEJ20 and a $20 discount will apply to that massage of any length and kind! YESSS! It was in a separate room of my choice, with my awesome massage therapist Christina. She came upstairs, set up the room, and made my space her space, and I felt completely relaxed in my own environment. She revealed that she's been asked to do massages in all sorts of places, but late night hotel massages are popular. Imagine, you're in an unfamiliar city, and you'd really like to give those muscles some relief after flying or work meetings all day. Book the massage on the Soothe app, within the operating hours (it operates between 8am and 10pm, 7 days a week) and voila, your massage is delivered to you, and no money needs to exchange hands. It's booked and paid for at time of booking. Here is the Soothe app: CLICK HERE. Josie's Juice highly recommends Soothe. There's nothing else to know except... book it. You won't regret it, and you may just finally fulfil that commitment to yourself that you WILL relax regularly. and Soothe covers tips, which is very much a US thing to do, but it's good for Aussie clients to know. massage therapists on the platform having tripled since last year. accepted into the Soothe network. 808 178 0086 from within the U.K. All three booking options are available 24/7. (British Columbia), and Washington D.C.
800.960.7668 from within the US and Canada, or 808 178 0086 from within the UK. And HERE is how to win a massage, just for you to enjoy and see what all the fuss is about! - Comment below or email us at: josiegags@optusnet.com.au and tell us why you'd like to win a massage. Competition drawn by July 31, 2017. Want to purchase a voucher now? CLICK HERE. And here is your Sydney centric booking link. BOOK ONE RIGHT NOW HERE. And don't forget to apply the Josie's Juice discount code above! ENJOY.